SNC-Lavalin has a $500M contract with Defence. So what happens if it’s convicted? A SNC-Lavalin contract with the Department of National Defence (DND) worth half a billion dollars comes up for renewal next year — when the Montreal-based engineering giant is expected to be on trial over corruption charges. The pending expiry of the $507 million contract to support the servicing of minor warships and auxiliary vessels, signed in 2011, sharpens the debate over what a guilty verdict would mean for the Quebec-based engineering giant and whether a conviction actually would mean subjecting the company to a 10-year ban on bidding for federal contracts. The stakes are high for DND. In addition to holding an important defence contract, SNC-Lavalin has access to a range of secret military drawings, equipment and intellectual property. Although its agreements are periodically reopened to new bids, the embattled corporation has been a reliable contractor for National Defence. A survey of active federal government contracts shows DND and Public Services and Procurement Canada (PSPC) were the two biggest users of SNC-Lavalin services and construction during the current fiscal year. Across the whole of the federal government, SNC-Lavalin holds 53 ‘active’ federal government contracts — 25 of them with DND — with a combined value of $670 million. The firm signed roughly $68 million in new or renewed agreements with the federal government ($23.7 million with DND and PSPC alone) in the current budget year up to the end of December. That figure excludes what could be a large number of smaller contracts worth less than $25,000 — contracts the federal government can award without competition. An inventory of those agreements is extremely difficult to track down, but PSPC acknowledged it awarded $146,522 in minor work to SNC-Lavalin in the current fiscal year. The RCMP laid corruption charges against SNC-Lavalin and some of its units in February 2015. All the charges relate to the company’s operations in Libya. The charges allege that the company offered officials in that country $47 million in bribes and accuse SNC-Lavalin and two of its subsidiaries of defrauding various Libyan public agencies of approximately $129.8 million over 10 years, starting in 2001. 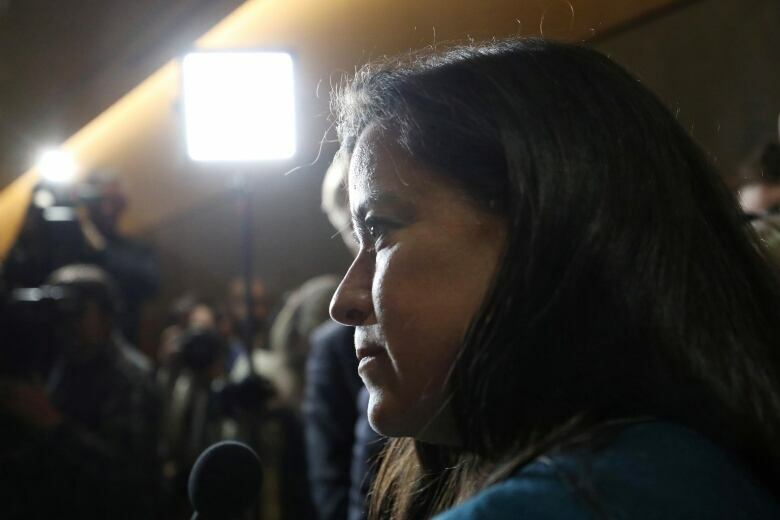 The company has been at the centre of a political firestorm since early February, when The Globe and Mail reported that former justice minister Jody Wilson-Raybould felt pressured by the Prime Minister’s Office to grant the company a deferred prosecution agreement (DPA) — a legal tool which would have allowed the company to avoid a criminal trial by acknowledging fault and paying a fine, among other conditions. In defending their interest in a DPA for SNC-Lavalin, Prime Minister Justin Trudeau and others in his government have pointed to the scale of the engineering firm’s business, the possibility it could be banned from federal government work and the number of people it employs. Scott Newark, a former Crown prosecutor who teaches at Simon Fraser University, said it’s been clear from the outset that avoiding the federal contract ban has been SNC-Lavalin’s main objective. The question of what would happen to those federal contracts should the company be convicted is a subject of debate, however. There are policy provisions that allow federal officials to cancel existing contracts and ban future bids from a company convicted of serious crimes, such as bribery. PSPC would only say the federal government would “assess the situation” if “a supplier becomes ineligible during the life of a contract” due to a conviction. The power to terminate or suspend a contract rests with federal bureaucrats, according to PSPC’s Ineligibility and Suspension Policy. A company convicted of serious crimes can avoid being fired by the feds by signing an undertaking stating “that it will conduct business with Canada in an ethical and responsible manner.” But there’s never a guarantee that such an undertaking will be offered to a convicted company. Just three companies are currently banned from carrying on business with the federal government — all relatively small firms in Ontario, Quebec and Newfoundland. A spokesman for DND said there’s nothing stopping SNC-Lavalin from continuing to bid on federal contracts as they appear, even during its trial. In an analysis piece for the Macdonald-Laurier Institute, Newark said PSPC is working on a revision of its ‘integrity regime’ policy to give federal officials more discretion to waive bans of individual companies contracting with the federal government. Public Services Minister Carla Qualtrough has said her department is looking at eliminating fixed bidding disqualification periods and replacing them with a wholly discretionary determination — which would include the option of imposing no contracting ban at all. Even under the current system, Newark said, an order cancelling a company’s federal contracts and banning it from future contracts following a conviction is far from a slam-dunk. “I checked on the Criminal Code and the Corruption of Public Foreign Officials Act and, of course, it’s not in those statutes. It’s not a mandatory consequence.” he said. The integrity regime review has been underway in Qualtrough’s department since 2017. Newark said he’s amazed that nobody with the company or the federal government seems to have realized that a conviction for SNC-Lavalin could lead to something other than a 10-year contracting ban. “Why didn’t anybody say, ‘Hey wait a minute. We know what about this. We’re changing our policy,'” he said. The head of procurement at DND attempted to reassure members of the all-party House of Commons defence committee during a hearing last month that SNC-Lavalin’s “secret” work for the federal government does not pose an unacceptable risk.